I’m happy to announce that as of today the Flightstory Aviation Blog has moved to www.flightstory.net! Many new features are waiting for you! It’s important to note that this blog will remain online and used as archive. New content will solely be posted on the new website! … So what do you have to do? If you’re using Feedburner, you don’t need to chance anything since Feedburner has already been updated to use the new address. … Why the new website? First of all the new website is more modern, has a more friendly design and most important loads incredibly faster than the old one! It now has full integration with Facebook and Twitter – so if you like, we can become friends! The category structure and page layout has been changed and new user functions implemented – like comment rating, new more modern comment form and related postings. We hope you like the new website! Please feel free to make suggestions and report errors. Any feedback is welcome! The Pentagon recently announced, that Boeing has won the $35 billion USAF tanker contract. The contract means Boeing will initially build 179 of its 767-based KC-46A tankers to replace the Air Force KC-135 tankers. Boeing must design, develop, manufacture and deliver the first 18 combat-ready airplanes by 2017. The first tanker is scheduled to fly in 2015. 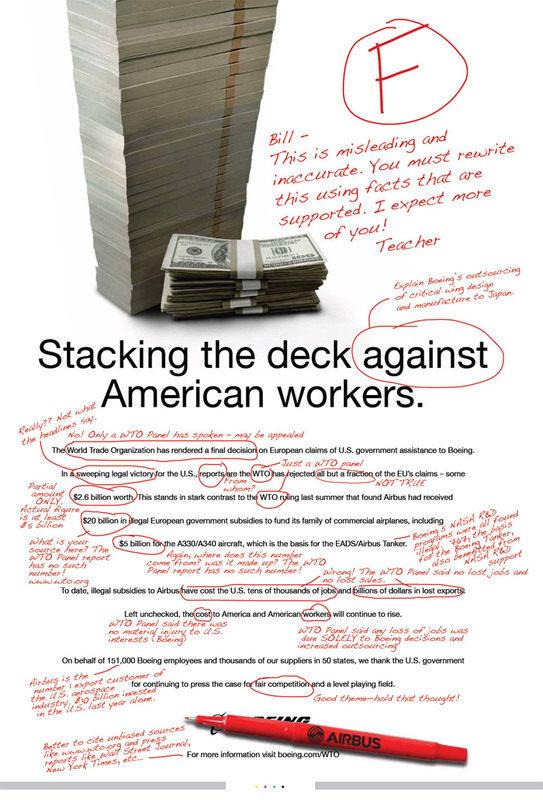 The contest was not just about the better plane but also about monopoly and immense lobbying – Boeing spent more than $17.8 million on lobbying, just in 2010. In 2008 U.S. Air Force already selected the competing KC-45 Tanker offered by EADS/Northrop Grumman but the selection was revised later after protests filed by Boeing. EADS has three days to ask for a debriefing as to why exactly it lost. That debriefing must take place within five days, after which EADS has another five days to decide if it wants to formally protest the decision. 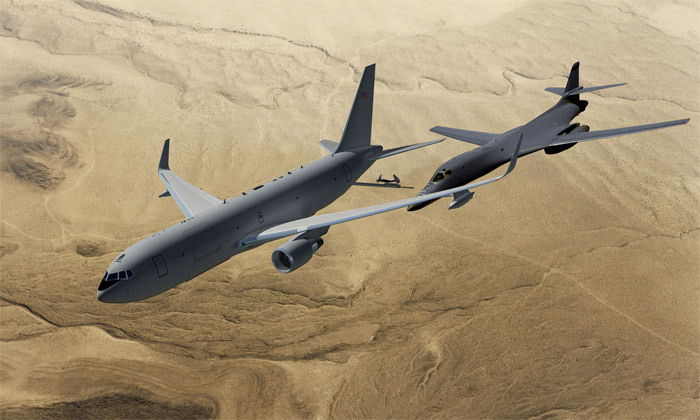 EADS North America officials expressed disappointment and concern over the announcement that the US had selected a “high-risk, concept aircraft over the proven, more capable KC-45 tanker”. 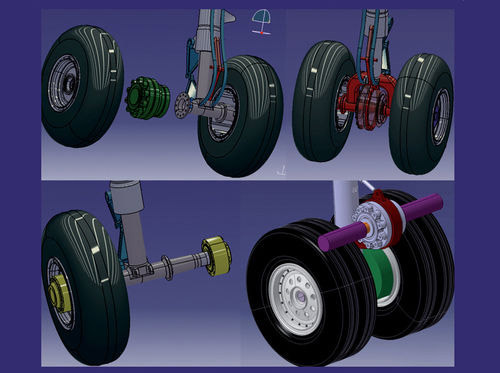 If selected, EADS North America had committed to build the KC-45 at a new production facility in Mobile, Alabama, with a U.S. supplier base of nearly a thousand American companies. 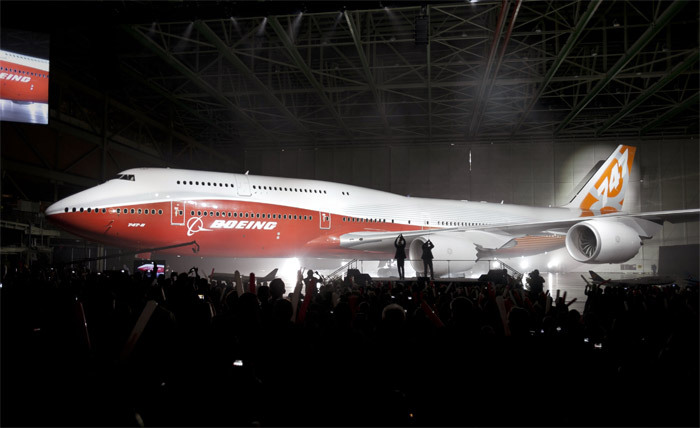 Boeing today unveiled its brand new Boeing 747-8 Intercontinental – and man, she’s a beauty! 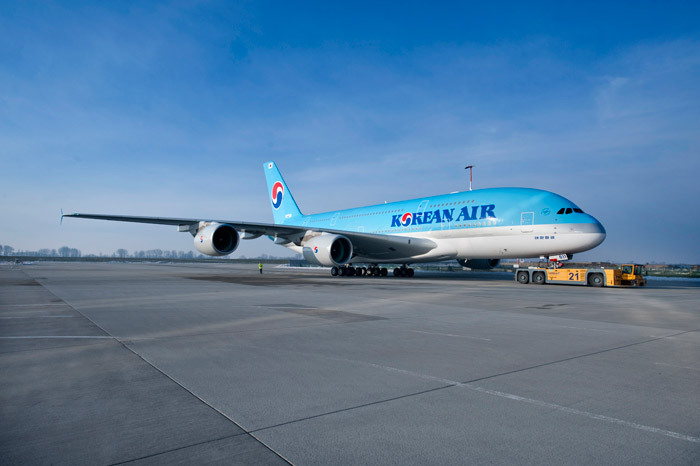 Korean Air and VIP customers have joined launch customer Lufthansa in ordering a total of 33 747-8 Intercontinentals. First delivery of the 747-8 Intercontinental is scheduled for the fourth quarter. 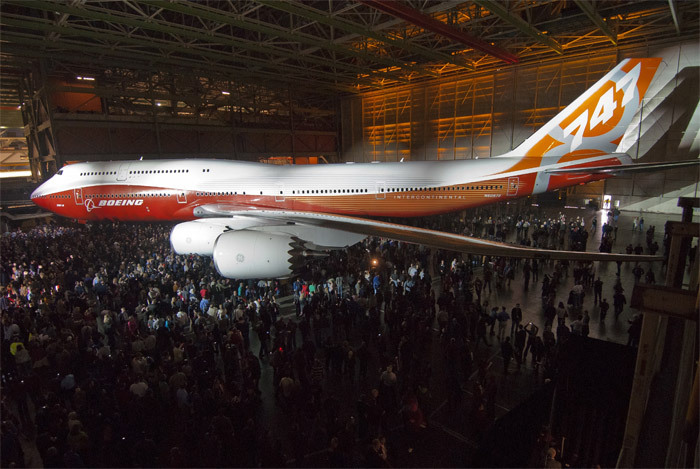 The airplane unveiled today is painted in a new Sunrise livery of red-orange that only will appear on the first 747-8 Intercontinental and is a significant departure from Boeing’s standard blue. The new color palette honors many key Boeing customers whose cultures recognize these colors as symbols of prosperity and good luck. On Feb. 2, 2011 Boeing marked an important milestone in the company’s history. 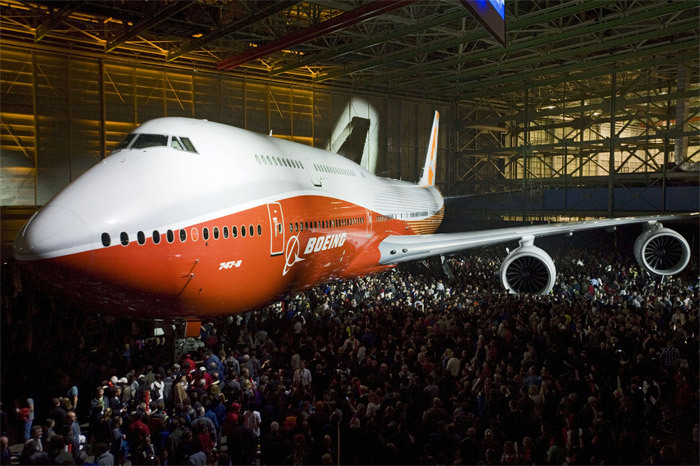 Boeing celebrated the rollout of the 1000th 767 airplane. 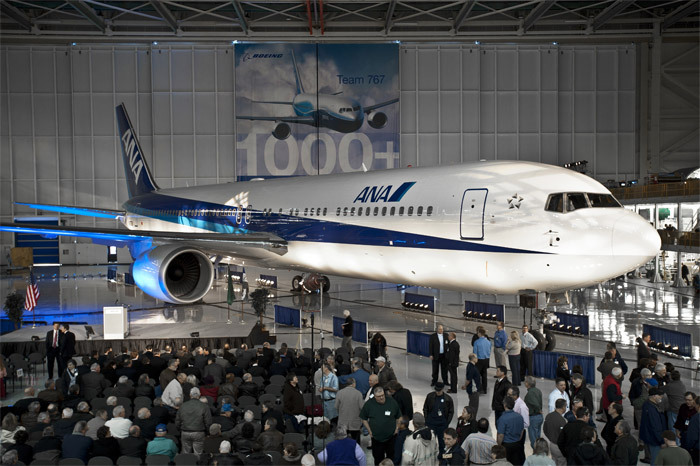 The 1,000th airplane is a 767-300ER (extended range) passenger model for ANA (All Nippon Airways) and was the final 767 to complete assembly on the current production line. Final production work already is underway on the 1,001 unit in a new, smaller bay that repositions the production line toward a leaner, more efficient operation. Boeing has offered the 767 as the platform for its NewGen Tanker if it wins the U.S. Air Force KC-X Tanker competition. A decision on the contract award is expected early this year. 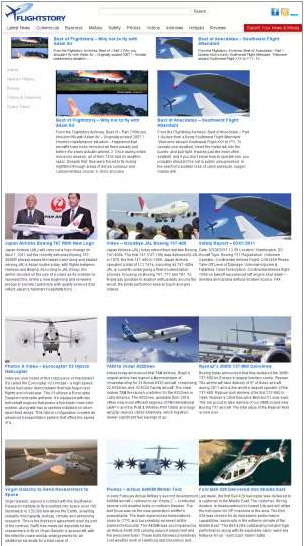 The 767 family is settled in the 200- to 300-seat market. 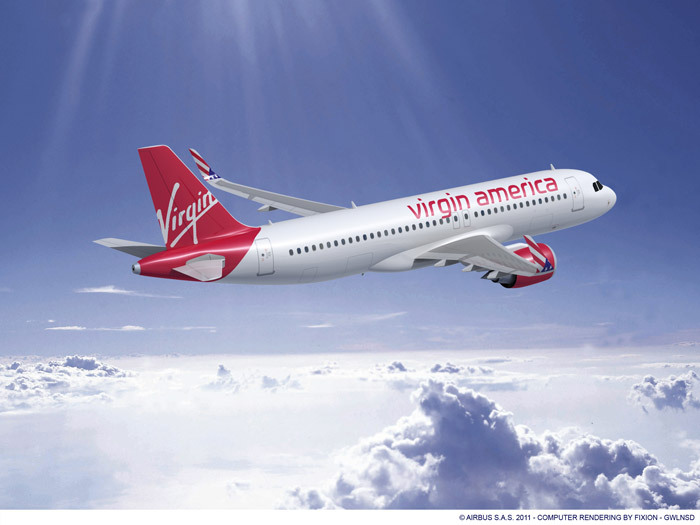 The 767 family includes three passenger models – the 767-200ER, 767-300ER and 767-400ER – and a medium-widebody freighter, which is based on the 767-300ER fuselage. 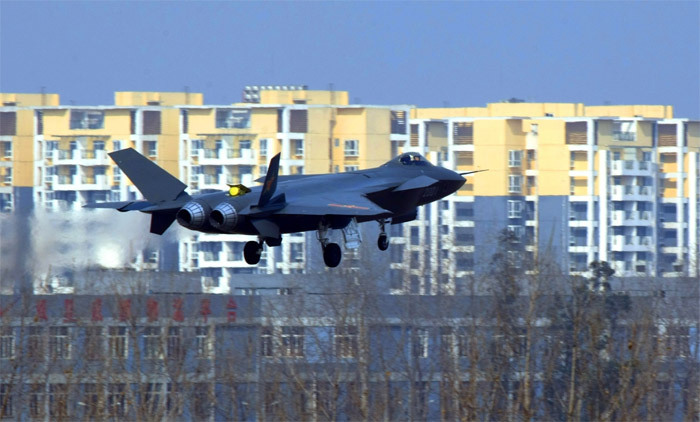 British newspaper The Guardian is reporting today, that the Chinese stealth fighter Chengdu J-20 may be built using US technology. Balkan military officials said China may have gleaned knowledge from a US F-117 Nighthawk that was shot down over Serbia in 1999. A senior Serbian military official confirmed that pieces of the wreckage were removed by souvenir collectors, and that some ended up “in the hands of foreign military attaches”. Dangerous laser pointer attacks on airplanes may be more common than you think. The FAA today published a list of laser pointer events on aircraft that have been reported in 2010. The list, that only includes incidents within the US, records the huge number of more than 2800 events only last year! This is the highest number of laser events recorded since the FAA began keeping track in 2005. Los Angeles International Airport recorded the highest number of laser events in the US for an individual airport in 2010, with 102 reports, and the greater Los Angeles area tallied nearly twice that number, with 201 reports. Chicago O’Hare International Airport was a close second, with 98 reports, and Phoenix Sky Harbor International Airport and Norman Y. Mineta San Jose International Airport tied for the third highest number of laser events for the year with 80 each. Nationwide, laser event reports have steadily increased since the FAA created a formal reporting system in 2005 to collect information from pilots. Reports rose from nearly 300 in 2005 to 1,527 in 2009 and 2,836 in 2010. 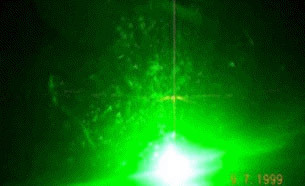 Some cities and states have laws making it illegal to shine lasers at aircraft and, in many cases, people can face federal charges. 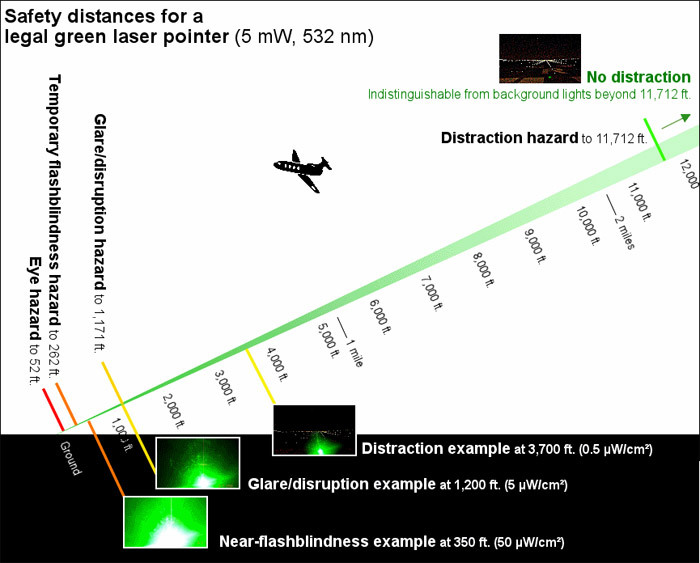 The increase in reports is likely due to a number of factors, including the availability of inexpensive laser devices on the Internet; higher power levels that enable lasers to hit aircraft at higher altitudes; increased pilot reporting of laser strikes; and the introduction of green lasers, which are more easily seen than red lasers.